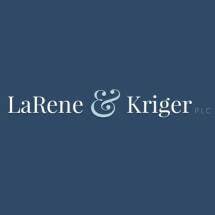 The firm of LaRene & Kriger, P.L.C. was founded in 1999 by Mark Kriger and N. C. Deday LaRene. In 2012, Mr. Kriger's daughter, Allison, joined the practice. The firm's practice is limited to criminal defense, both trial and appellate, including collateral challenges such as federal habeas corpus, coram nobis petitions, and Motions for Relief From Judgment under Michigan law.